Barcelona midfielders Rafinha and Ivan Rakitic look set to seal a move away from the club in the summer transfer window, something that looks to be down to the future arrival of Frenkie De Jong. 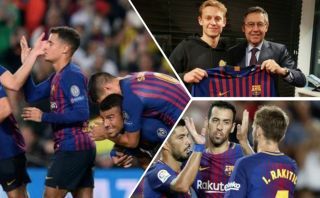 According to Don Balon, De Jong’s future arrival at the club, which is to come in the summer as per the club’s official website, has seen both Rafinha and Rakitic go on the look out for new clubs to join in the summer, something that won’t be good news for the club’s fans to hear. 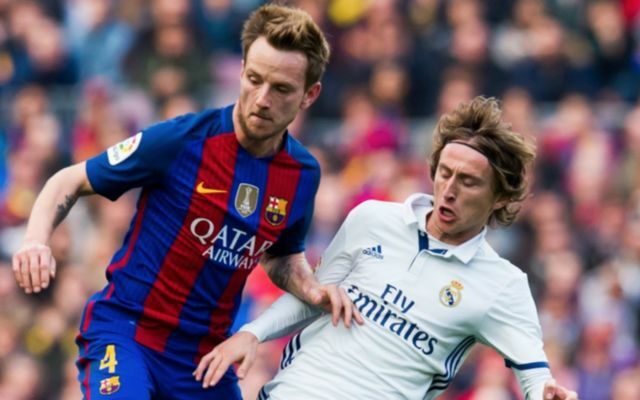 Rakitic has become one of Barca’s most important players in recent years, and losing him would be a big blow for the Spanish giants. The Croatian has been a key player for the club during Luis Enrique and Ernesto Valverde’s time in charge of the club, and if signing De Jong means losing Rakitic, it makes one think whether snagging a deal for the Dutchman was the right move after all. Rafinha, although still a good player, would be missed less than Rakitic if he were to leave, something that’s down to the fact that the Brazilian has struggled with injuries a lot during his time with the club’s first team. Despite this, if signing De Jong means the Blaugrana end up losing two of their midfield stars in the summer, it makes this deal for the Dutch international seem like it could do more harm and good to the club’s squad in the long run….